The Bharatiya Janata Party (BJP) that always promised abrogating the Article 370, which gives special status to Jammu and Kashmir, has chosen to forget its own ideological position. On Sunday, the party formed a coalition government with People's Democratic Party (PDP) supremo Mufi Mohammad Sayeed, an arch-rival as far as the ideology of the BJP is concerned. Sayeed, 49, took oath as chief minister of the Muslim-majority state. PM Narendra Modi was present during the oath taking ceremony which was held in Jammu. This is the first time that BJP has come to power in the State, albeit, in an alliance, with PDP as the major partner. In the Assembly election, none of the parties had got a clear majority. After 49 days of governor's rule, BJP and PDP came together to form the government. Prime Minister Narendra Modi has congratulated Sayeed and termed it a historic opportunity. 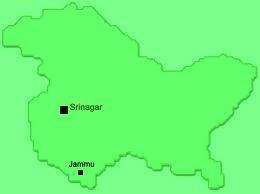 The BJP has however not spoken about the dilution of its stand on Article 370. Both the parties have said that there would be status quo. The BJP would not ask for scrapping it though it was the main demand of the party and part of its Hindutva plank for decades.